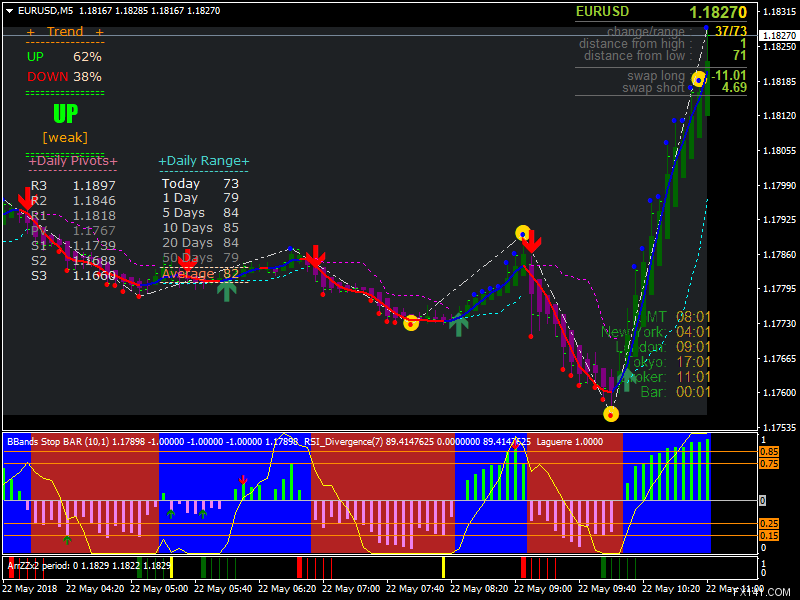 System works best in 5M time frame. X-ARRZZ also can show a YELLOW line indicating sideways consolidation. Do not trade on sideways movement.